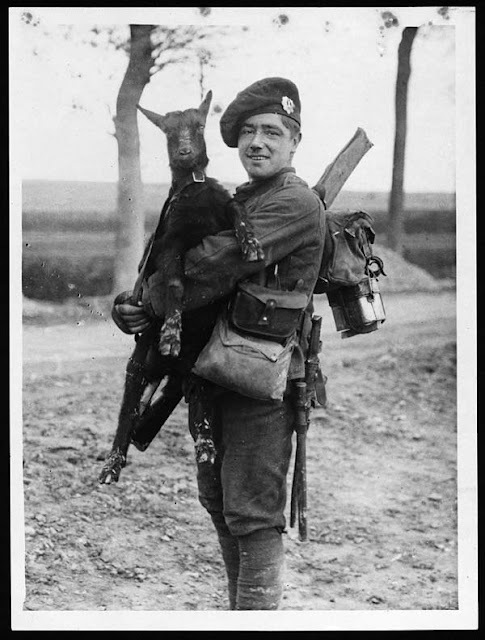 The National Library of Scotland has a terrific collection of official photographs from World War One, from professional photographers who were sent out into the field. 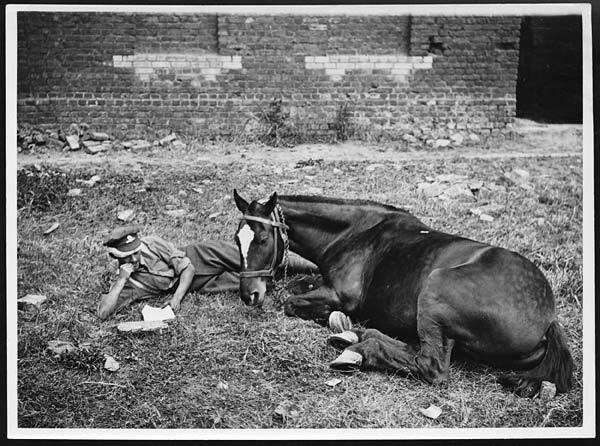 We'll come back to this archive, but today we're going to focus on one part of the collection-- pets and mascots. 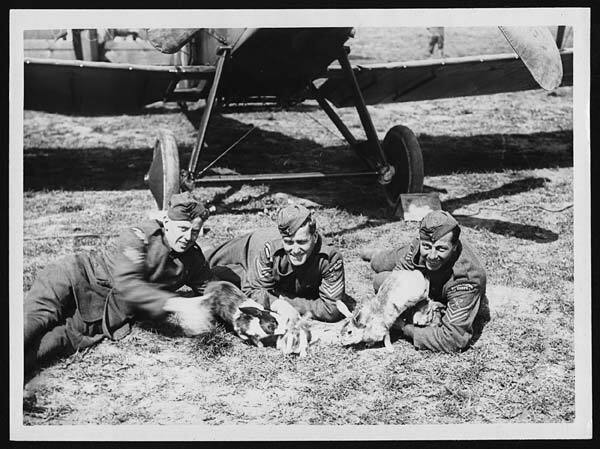 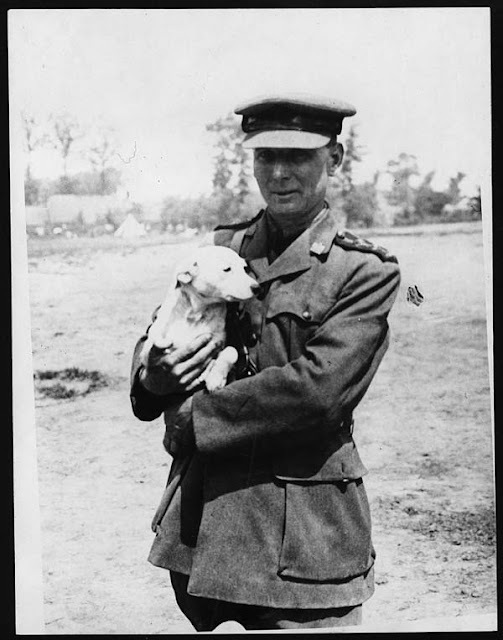 RAF men with pet rabbits. 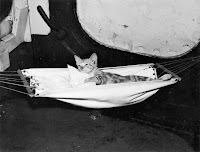 Source. 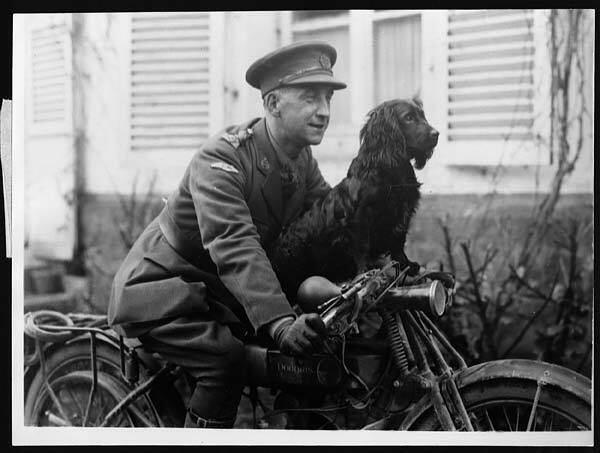 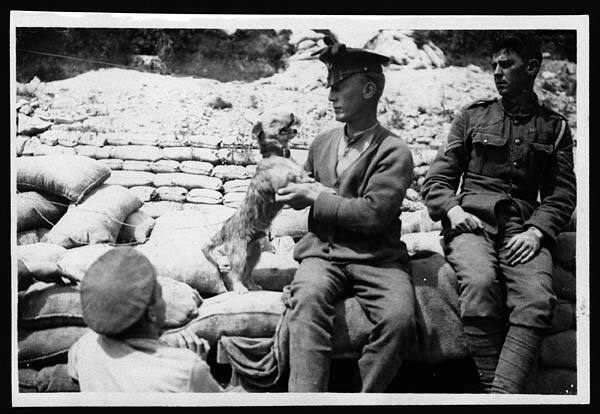 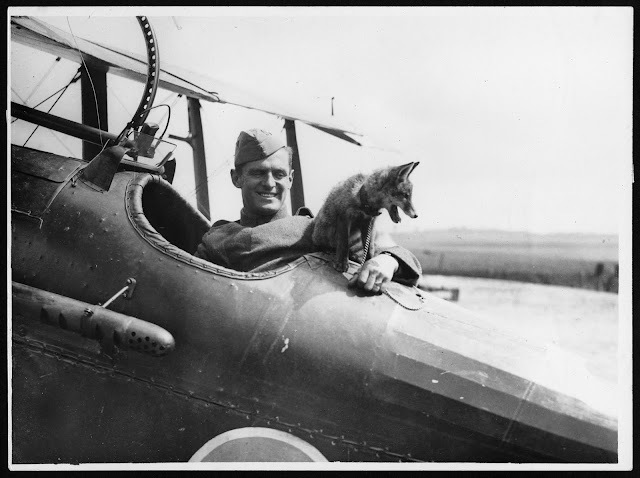 Pets and animal mascots were common among the men on the Western Front... and isn't that terrific? 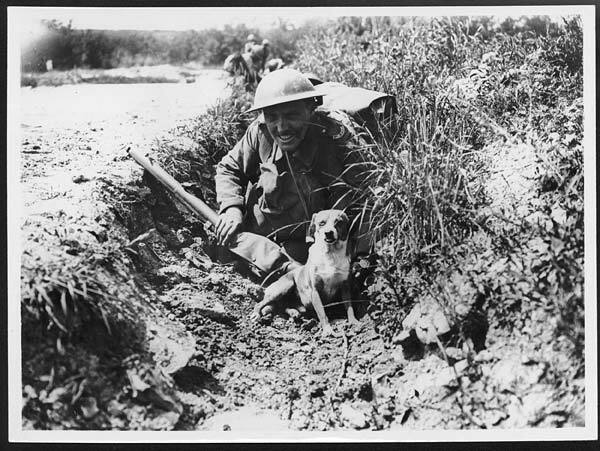 Lots of these photos were taken as a kind of propaganda, to show the people back home that it wasn't so bad out there, sure-- but nevertheless, you can see the real bits of joy that these animals brought to men in a very difficult place. 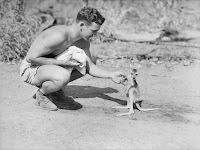 Very touching.